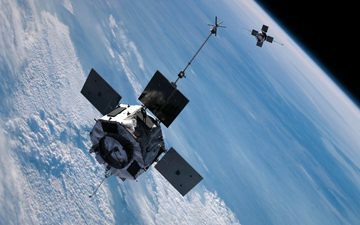 CAPE CANAVERAL, Florida -- Saturday's Atlas V launch of the Radiation Belt Storm Probes spacecraft has been scrubbed. Due to concerns about the approaching Tropical Storm Isaac, United Launch Alliance will roll the Atlas V back into the Vertical Integration Facility. Another attempt will be made on Thursday August 30, 2012 at 4:05 a.m. EDT with a 20-minute launch window. United Launch Alliance says that today's launch was delayed due to weather.